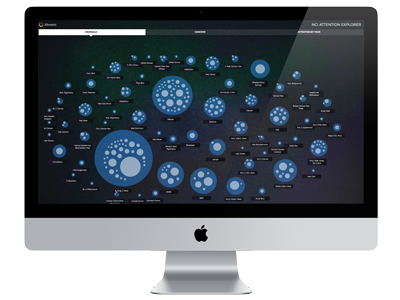 A selection of use cases which highlight the power and versatility of Altmetric data. This site allows you to explore the article level metrics collected by altmetric.com for a set of articles supported by Cancer Research UK. What academic research caught the public imagination in 2015? 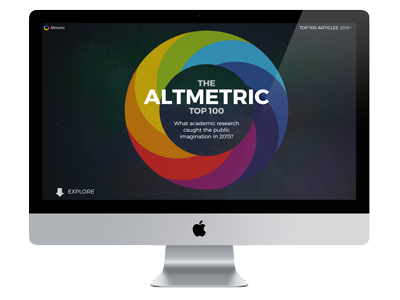 This page combines data from Altmetric and GRID to highlight the most-discussed research of 2015, along with the institutions and researchers that contributed to it. This page looks at the attention on cancer research across all articles in PubMed associated with research into cancer and associated areas. 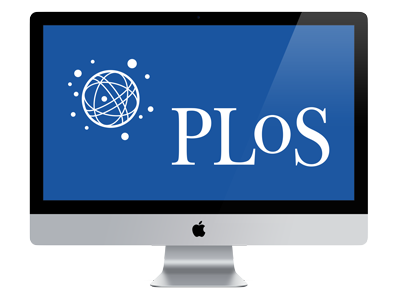 This page mashes up alt-metrics data from Altmetric with articles from the Public Library of Science (PLoS). Check which articles are seeing the most buzz from social media sites, newspapers and in online reference managers.